The Bluetones – Live Review. Brudenell Social Club, Leeds, October 2018. There are very few 90s-era bands that have survived, and even fewer that have improved with age and maturity. However, The Bluetones like The Wonder Stuff, are one of those rare creatures. I never really lumped The Bluetones into any category, such was their uniqueness, which remains unwavering, and tonight at the Brudenell it was packed out for a much-anticipated sell out show, and Mark Morris et al did not disappoint. Entering the stage to a loud rendition of the Black Beauty theme tune, the lads seem incredibly happy to be here and on humorous form. Mark quips to the crowd that we are only here to listen to the ones everyone knows, before a very appropriate opening number, ‘Cut Some Rug’, quickly followed by, ‘Can’t Be Trusted’, from the 1996 debut album, Expecting To Fly. Tonight the band inform us that they will be performing songs from their first ten years of existence and, to be honest, they could have sung the phonebook tonight, and the fans would not have cared. ‘Keep The Home Fires Burning’, ‘The Fountainhead’ and ‘Things Change’ are well received with eager cheers, however for me it’s the levels of complexities in these songs that are completely unappreciated until you see them performed live. This can also be said of the lyrics, where it’s abundantly clear that Mark Morris’s sardonic wit and storytelling is on another level. The timing was definitely wrong when The Bluetones first arrived onto the scene. They were never really ‘Britpop’ and although they may be forever associated with that time period, their music completely transcends it. Indeed, A New Athens, an almost forgotten album from the back end of the 00s that failed to get into the UK charts, contains some of their best tunes. After a slowed down part of the set, including a luminous ‘Tiger Lily’, Mark explains: “We’re all getting a bit too old to be jumping up and down all of the time.” The band then immediately rip into one of my absolute favourites, ‘Marblehead Johnson’, and everyone is right back behind them again, inspiring some even funkier and awkwardly cool dancing from Mr. Morris. ‘Never Going Nowhere’ really hits the spot tonight, and remains as fresh sounding as ever with some wickedly slick beats and guitar riffs, along with ‘Fast Boy’, a song dedicated to and written about a young man who used to procure them cannabis back in the day. One of the best single releases was up next in ‘Bluetonic’, which absolutely sent The Brudenell into a frenzy of enthusiasm and hip jiggling, whilst ‘Sleazy Bed Track’, from the 1998 album Return to the Last Chance Saloon is always a winner. In fact tonight, the band have given their everything and then some, to every track played. The end of the set was completed by three belters, ‘After Hours’, and ‘Emily’s Pine’, before Mark teases everyone with their anthem ‘Slight Return’, asking if people really still want to hear it after all these years. The resounding “Yes” bellowed back at him then prompted him to question his loyal legion of fans if they wanted to hear something a bit different. The band then proceeded to perform it Ramones style, before giving in to pressure, and playing the faithful version of the song. The noise levels were astounding, and even as the last notes were ringing out through the speakers and amps, the roof was lifting off with a thunderous chorus of “Naan a naaa naaaah!” with no one showing any signs of wanting to leave the building. 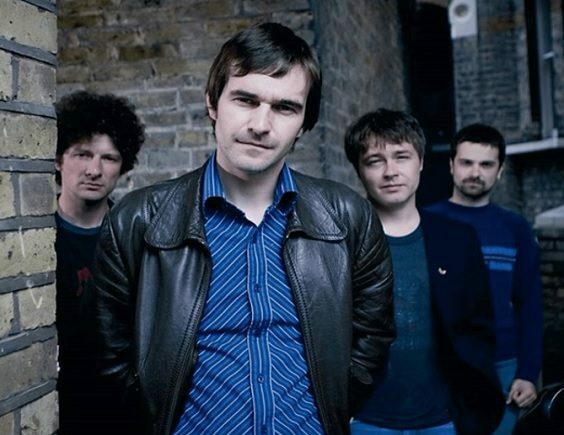 Throughout the show, Mark made many comments alluding to the fact that the Bluetones will not be producing any new music. But with a reception like tonight, it must be slightly tempting to give the people what they clearly want. But the old stuff holds up some twenty plus years on and – for now – that is enough.